All Star Flags custom flags are digitally printed with your design or logo. This 4x6' nylon flag is printed on nylon and comes standard with either header & grommets or pole sleeve. The custom image on our digitally printed banner comes in a "single reverse" style, so it is correct on the front and bleeds through to the back but the image is mirrored. **Vectored artwork is required (.ai or .eps with all text converted to outlines). Don't have vector art? 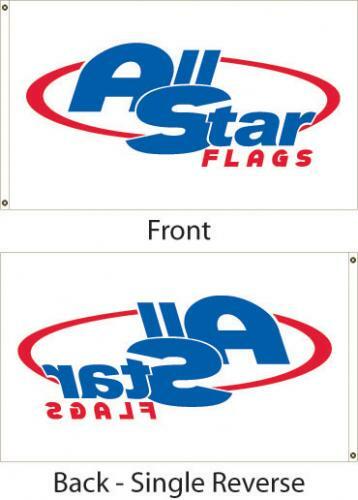 Contact a service representative at All Star Flags and they will provide you with an artwork quote.